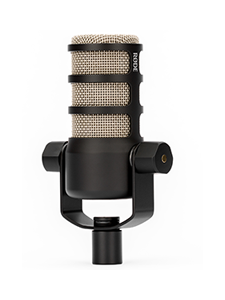 The RØDE Blimp has again been recognised as a product of exceptionally high standard, being awarded an Australian International Design Award and nominated for the 2009 Australian International Design Award of the Year. 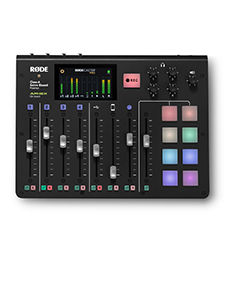 Following both critical and user acclaim upon its release, the RØDE Blimp has progressed from strength to strength providing both professional and amateur sound and video recordists with a reliable, robust and incredibly effective windshield and shockmounting system. In March this year the Blimp was awarded an international Red Dot award. An expert panel of 28 judges from around the world assessed over 3,200 products from 49 different countries and identified the Blimp as a creative, innovative and overall outstanding product. Now the Blimp can add the Australian International Design Award to its growing honours list. The Australian International Design Awards is a division of Standards Australia. It is Australia’s top product design and innovation prize, recognising products and designs from around the world. This year’s list of winners included products designed in the USA, Europe and Asia in addition to Australia and New Zealand. 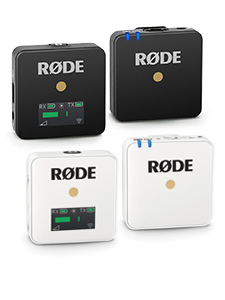 Following a rigorous assessment of the RØDE Blimp, the industry panel of judges commented that it is “a high quality, professional product at an accessible price point. Its consumer attainability is what industrial design is all about”. 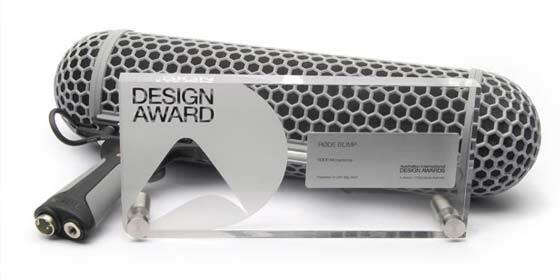 “For RØDE to be given the honour of one of the worlds most coveted awards, and achieving a finals place in the Australian Design Award of the Year against the worlds best, is truly an inspiring milestone for everyone at RØDE” Commented Peter Freedman, Managing Director upon receiving the award.